Who is Churchill Corporate Services? With over 30 years of experience and more than 100,000 satisfied families on our proud record of accomplishments, Churchill Corporate Services stands alone as the tri-state area's foremost company of its kind. We achieved this primarily by fulfilling the demanding and ever-changing needs of our customers. By 1995, Churchill had become the largest provider of furniture rental and corporate apartments in prime, safe locations throughout metropolitan New York, New Jersey and Connecticut. Today, with over 800 corporate apartments and five furniture showrooms, Churchill is your complete, one-stop source for temporary services in the tri-state area. We continually expand our portfolio of housing locations and furniture selections to exceed your expectations. One thing that remains unchanged, however, is our commitment to providing clients with quality services by which industry standards are judged. 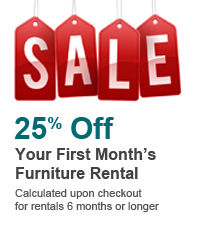 What are the advantages of renting furniture from Churchill? Churchill offers quality furnishings with flexible lease terms perfect for customers who are temporarily relocating, traveling for work or school, selling their home, or otherwise in need of temporary furnishings. Is there a showroom where I can see the furniture in person? Yes; Churchill has six furniture showrooms. Please click here for a complete list of locations. Can I expect to be delivered the exact same furniture I see in your showroom? Yes; Churchill guarantees that the furniture you receive will be the same style and quality as that on display in our showrooms. Do you have professionals on staff who can help me to select my furniture? Each of our furniture rental sales representatives is highly trained in interior design and can offer assistance in choosing just the right furniture for your lifestyle and budget. Our sales representatives can be contacted by phone or email. Can I add furniture to a collection or take away furnishings that I do not need? 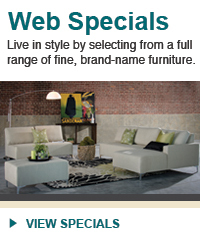 Yes, you can customize any collection to meet your individual furniture needs. Delivery typically takes 2-3 business days. I see that you have 6 month pricing on your website. What if I need the furniture for a shorter amount of time? The minimum lease term is 30 days. The longer the term of your lease, the greater the discount that is applied. Are there any other costs involved besides the furniture price? The only other costs are sales tax and a delivery fee (which includes assembly, setup, and disassembly). The delivery varies by order. If you do not have home owner’s or rental insurance, a damage waiver fee also applies. I need houseware items such as sheets, linens, pots and pans. Do you provide housewares and linens? to electronics , we carry all that you will need to furnish your home. What if I need to change my furniture order after signing the lease? You can make a change to your order up until 48 hours before the scheduled delivery. Can I return my furniture early? If a customer is no longer in need of the furniture, we can arrange for early pickup. However, the customer is still responsible for payment of the remainder of the lease term. If the lease term is longer than 6 months, the customer is responsible for payment of the first 6 months and 50% of the remaining term of the lease. Will Churchill set up the furniture? Yes. Delivery automatically includes assembly and set-up of the furniture. However, we do not typically hang artwork or mirrors. Do I need to be present when you deliver the furniture? You or a representative will need to be present when the furniture is delivered. We will ask you (or your representative) to sign a form confirming that you have received your order.